Jeff Decker – President President, Decker Consulting & Investigations, Inc.
Jeff has over 30 years’ experience in the agriculture industry. Familiar with the construction and operation of both farm storage and commercial, Jeff has brought his years of experience to the Coalition’s curriculum team helping to formulate curriculum which services the needs of the target audience. Jeff’s structural knowledge of the bins is unsurmounted by others on the coalition and is helping us fully understand and respond to these obstacles. Jeff has served as an expert trial witness on numerous occasions. He is a lead safety trainer, Director of Safety Outreach Programs and developer of numerous safety programs. Formally the Product Safety & Litigation Manager for the GSI Group, Inc. Jeff is experienced in all aspects of hazard ID analysis and accident investigations. Jeff lends expertise to curriculum development and as a GHSC trainer. 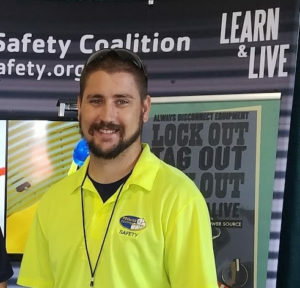 Tom began his 20+ year career in occupational safety and health with the OSHA area office in Peoria, Illinois as a Compliance Safety and Health Officer after graduating from Purdue University. After 12 years he left public service and worked in the private sector as a safety and health manager for a large logistics and parts distribution center. 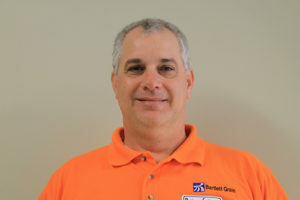 He returned to OSHA serving as the Assistant Area Director and then the Area Director of the Peoria OSHA office overseeing the 81 county Central and Southern Illinois region and working on numerous special projects and initiatives. 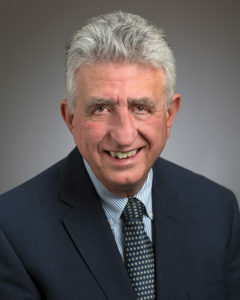 In 2017 Tom retired from OSHA and is now the Regional Director for SCT, providing consultation, safety program development, training and expert witness services. Tom has worked with the grain industry for many years, forming the OSHA Alliance with the Illinois Grain and Feed Association. He is known throughout the area for his pragmatism, fairness, and positive attitude. He has been a long-time ardent, enthusiastic supporter of the Grain Handling Safety Coalition providing expertise and advice, volunteering at events, and assisting with strategic planning before being elected to the Board of Directors. Brian grew up farming; has Bachelor Degrees in Agricultural Engineering and Feed Science & Management; a MBA degree; SPHR certification; and is a certified auditor for Responsible Agriculture. Brian has been in the agriculture business for 27 years including agricultural equipment business, commercial feed business, vitamin/mineral/premix business, fertilizer/chemical, flour milling, cattle feedlot, and grain elevator sectors. Brian has had responsibility in over half of the states in the United States. 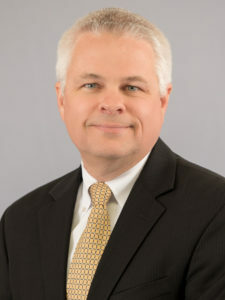 In various roles he has had responsibility for profit, operation activity, accounting activity, computer activity, reengineering consulting, human resources, and health, safety and environmental activities. Brian has managed union and non-union facilities and has had oversight on over 100 facilities in the various sectors. He has been employed by Moorman Manufacturing, Archer Daniels Midland, Bartlett and Company and Bartlett Grain Company. Brian is active working with the GHSC in order to bring industry perspective in helping to reduce risk and increase awareness among grain handlers and farmers. Catherine instigated the formation of GHSC after the death of her nephew in Mt. Carroll, Illinois. She put to use 20+ years of management, policy, budgeting, training, mediation, and client advocacy experience working in non-profits, state government, and volunteer positions to help form and grow the Coalition. Catherine previously developed, coordinated, implemented, and presented training for over 2000 employees on new computer systems and job tasks. She has developed, implemented, and/or supervised policy & procedure revisions, legislation, interagency agreements, organizational by-laws, grants, programs, employees and other legislative/administrative/managerial tasks and was a former state budget analyst responsible for the second largest line item. Catherine will continue as Program Coordinator for GHSC projects as well as serve as Secretary for the Board of Directors. Dr. Aherin is co-founder of GHSC. Contacted by Catherine, he was invaluable in bringing together the initial GHSC exploratory meeting. Many of the original participants remain active. (Bio separate attachment). Jeff has over 25 years’ experience with GFAI with the last 22 years in Executive Management positions. He is responsible for meeting the needs of the Association’s membership. His expertise in consensus building and team building greatly influenced the formation of the Coalition and his excellent communication skills have helped break down the barriers between the diverse interests. Jeff provides strong leadership to the Coalition and works to ensure GHSC balances the needs of the production and commercial industries. He is unfailing in his support of the Coalition’s efforts, providing staff resources, an extensive information distribution network and media contacts. Jeff will Chair the Structure, Governance & Finance Committee. Peggy holds an MS in Communications and has over 35 years in training, development, and management. She currently coordinates health and safety information and activities for 95 county Farm Bureaus and facilitates the Rural Nurse Practitioner Scholarship Program and Rural Illinois Medical Student Assistance Program (RIMSAP). In addition she oversees state and national awards programs; oversees the IFB ACTION TEAMS, up to 60 volunteers on four teams; oversees the administration of 3 grants; manages budgets for several programs; and writes and edits the FieldTalk publication, a bi-weekly newsletter for the counties. Formally she served as an IFB Training and Development Specialist), assisting the director with the development and implementation of training programs, and conducting training and education activities for county Farm Bureau® managers, trainees, leaders, members, and state staff. She was involved in the IFB’s annual leadership program, Agricultural Leaders of Tomorrow; serves on the AgrAbility Unlimited Advisory Board, the International Society for Agricultural Safety and Health (ISASH), Public Relation Committee and is a member of AgriSafe and Farm Safety for just Kids. Peggy is is qualified to administer the MBTI (Myers-Briggs), and is certified to teach the diversity program, “Connecting With Others.” Peggy’s experience in training and development with adults and polished communication skills is a great asset to the Coalition. She often leads the meetings, ensuring an organized approach and accomplishment of the agenda. Her insight into adult learning and impactful training techniques strikes a balance with the overwhelming amount of technical expertise. Peggy provides trainer education, meeting space, equipment, printed material, and access to the IFB’s communication network and other in-kind services. Peggy co-chairs the Image & Influence Committee and will be involved in the capacity building efforts of improving trainer skills and evaluation compliance. Daniel graduated from the University of Illinois at Urbana-Champaign with a degree in Agribusiness Markets & Management and Agricultural Safety & Health. Daniel is involved in Champaign County Farm Bureau Young Ag Leaders, alumni FFA, and the Grain & Feed Association of Illinois. He actively seeks training opportunities for his employees and has been instrumental in lending in-kind support to GHSC both as a trainer and fabricator of training props. 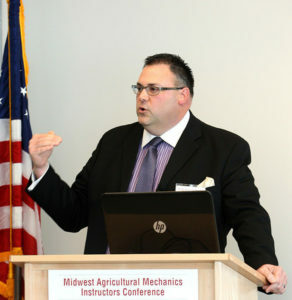 Stan operates a crop farm and swine operation in central Illinois. He was one of the attendees at the first GHSC train the trainer and has been active since. He is a member of the Illinois Farm Bureau, and works closely with the local FFA group. Stan was instrumental in helping draft GHSC’s youth position statement, is an advocate of LOTO on the farm, and is indispensable when trying to understand the cultural barriers to farm safety. He readily admits those who need safety training the most are the ones “too busy” to attend.